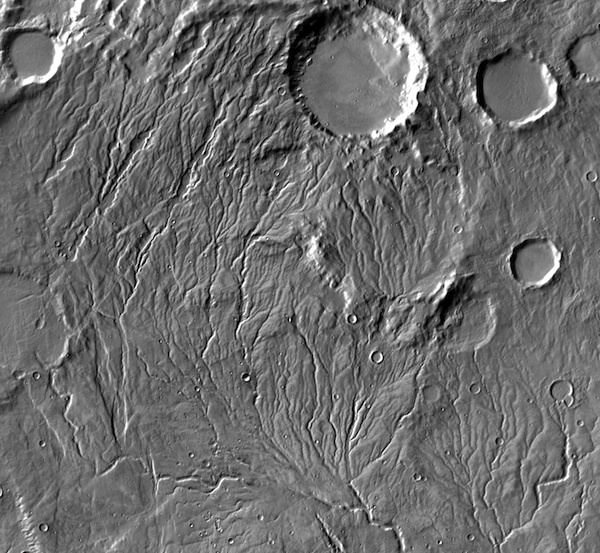 In many images of Mars, channels wind across the landscape. Some run for amazing distances, while others are quite short. But long or short, they clearly look like the work of flowing water. 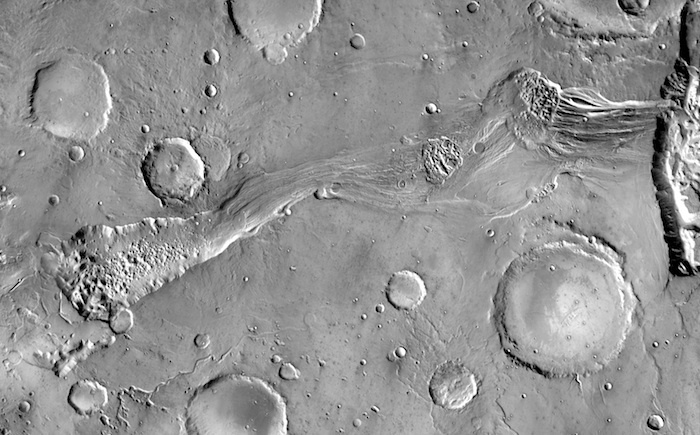 The first channels were discovered in images taken by the Mariner 9 orbiter in 1972. Yet it took scientists many years to accept the idea of liquid water making stream channels on Mars. In today's Martian climate, liquid water cannot flow any significant distance at the surface. The air is too cold and thin. Water would evaporate quickly or freeze and then sublimate almost as quickly. What changed scientists' view was a slowly growing understanding that Mars' climate long ago must have been very different from today's. 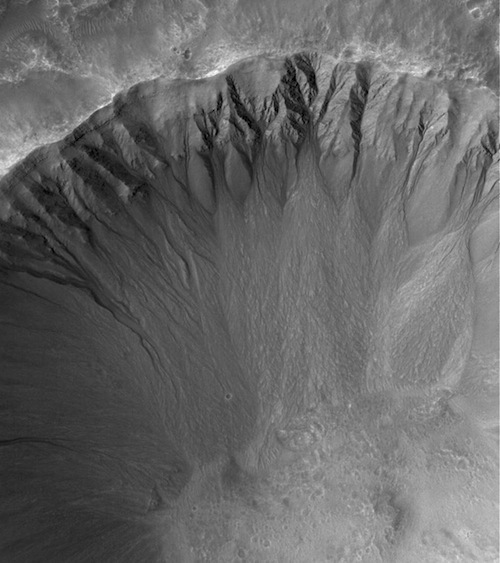 For example, studies showed that an early atmosphere, made mostly of carbon dioxide, with much more water vapor, and which was 1 to 5 times denser (thicker) than Earth's is now, would give Mars enough air pressure and trapped solar warmth to let liquid water to flow freely across on the surface. (In such a climate there would also be storms to drop rain and snow.) Such a warmer, wetter Mars might have been a starting place for life. Imaging has improved greatly since the early 1970s, and with their greater knowledge, scientists now sort channels into three main kinds. From largest to smallest, these are outflow channels, valley networks, and gullies. Each of these channel types shows characteristic flow features that help scientists understand how the channel formed. There is an additional kind of channel on Mars — the lava channel. These are described separately. While they share some similar features with water-eroded channels, they form by a different process.